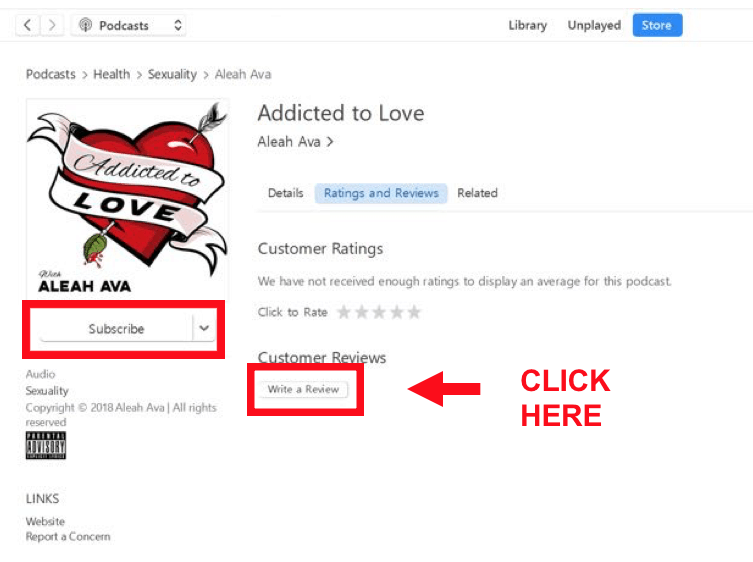 Go to the iTunes page for the Addicted to Love Podcast. Click on ‘Write a Review’ button (you must be logged in to write a review). 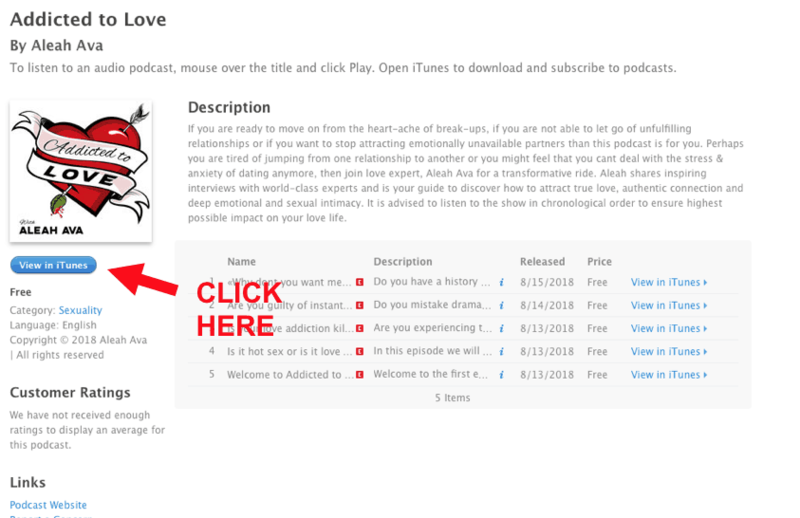 Rate the podcast by selecting between 1 to 5 stars, leave a review, and click ‘Submit’. That’s it! 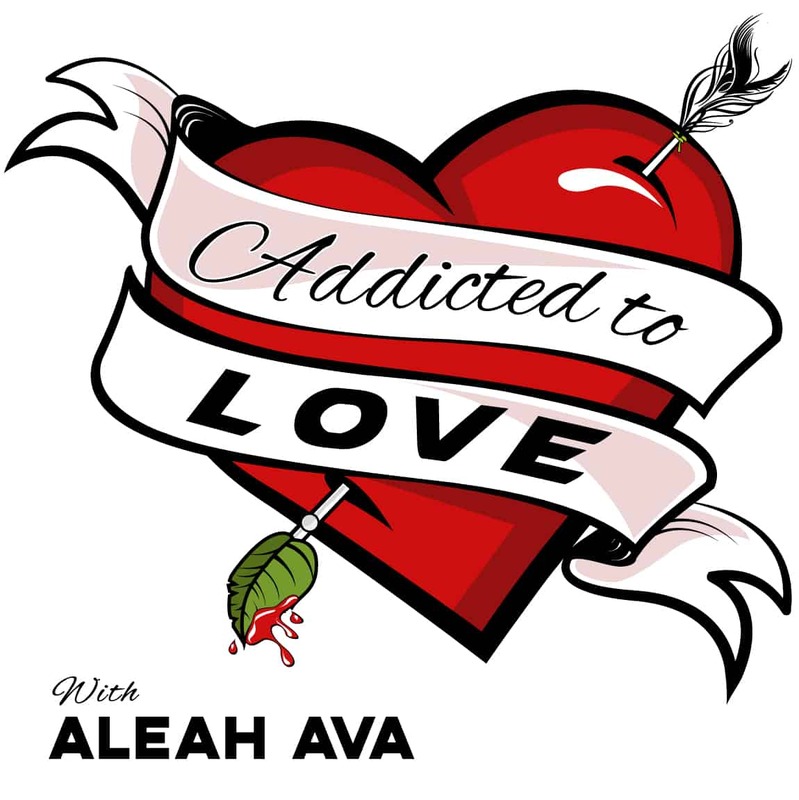 Every single week, one lucky listener will win a personal love make-over session with Aleah Ava herself. Thank you for reviewing our show! If you love our show, please feel free to share it with your friends! (Your review will go through an approval process and can be viewed within 48 hours (if approved).